Some of these people, such as those living in Papua New Guinea, are only 150km away from Australia – our neighbours in every sense of the word. That’s why we welcome the Labor Party’s promise to spend $32 million tackling avoidable blindness in the Pacific if elected. Now we are partnering with The Fred Hollows Foundation to call on the Government to match that promise – so that whoever governs this country supports a vision of a world where no one is needlessly blind. Sign our petition to Scott Morrison telling him to make a commitment NOW! 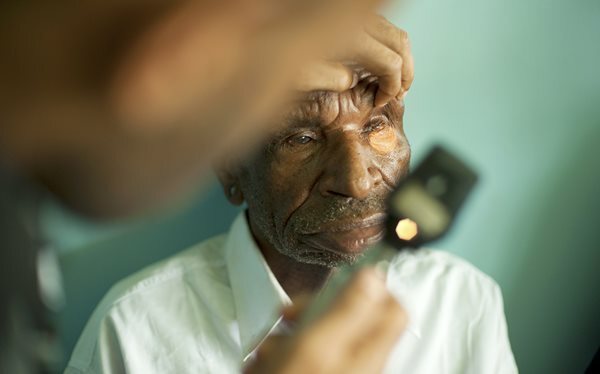 Dear Scott Morrison, I am calling on you to take decisive action to address avoidable blindness and vision loss in the Pacific. The Federal Opposition has committed $32 million to create a Pacific Blindness and Vision Loss Fund. This initiative is supported right across the vision sector. I believe it should be a bipartisan commitment from both major parties ahead of the next election.